With Week 10 in the books, the injuries continue to mount for NFL teams. However, as teams lose more players, many teams now have the chance to bring back players from injured reserve. With that said, this week's Injury Update will discuss a few players with new injuries and update some on-going ailments, including some from injured reserve. Jordan Reed first pulled his hamstring in Week 8, but has missed his last two contests. Reed made progress last week, practicing on a limited basis on Wednesday and Thursday. However, Reed missed Friday's session, all but ending his chances of suiting up on Sunday. Reed will likely follow a similar routine this week and hope to play on Sunday. He should be considered questionable and could come in as a game time decision. Jameis Winston initially suffered a sprain to his A/C joint in week 6 and finally sat out a game this past weekend. It was first reported that Winston would be shut down for a few weeks. However, Buccaneers General Manager Jason Licht said on Sunday that Winston could miss an extended period of time. 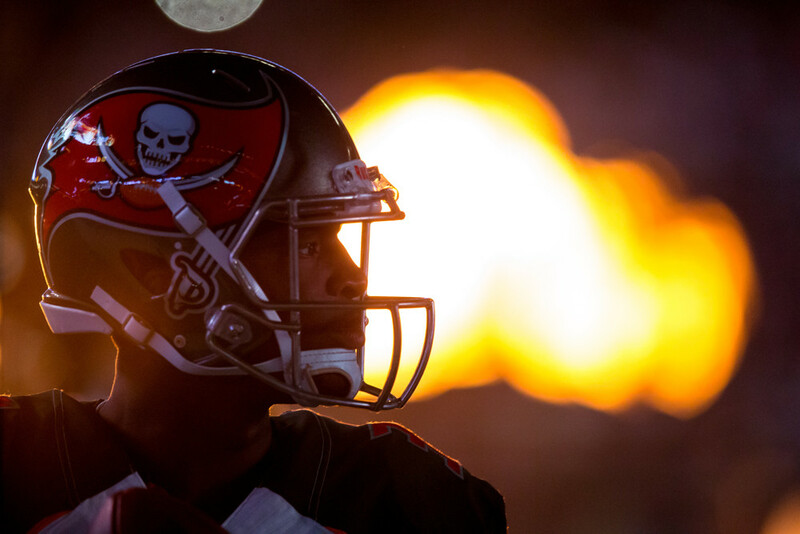 Coach Dirk Koetter noted on Tuesday that Winston plans on playing again this season. However, in a lost season it would not be surprising if the Buccaneers shut down Winston for the year. Chris Hogan missed the Patriots first game following their bye with a shoulder injury. Hogan originally sustained the injury at the end of Week 8 and reportedly would miss a few weeks. Early last week Hogan was still in a sling and did not practice at all before the game. He does not appear to be close to returning at this moment and should be considered doubtful for this week's game. Hogan needs to return to the practice field before he has a legitimate shot to play. Devonta Freeman left Sunday's game early in the first quarter with a concussion and did not return. This is Freeman's second concussion of the season and Adam Schefter reported that he is unlikely to play in Week 11. Schefter also noted that it would not be surprising if this turned into a multi-game absence with Freeman's concussion history. Freeman, now in concussion protocol, should be considered week-to-week as he progresses through the stages. Both Aaron Jones and Ty Montgomery left Sunday's win with injuries. Jones suffered a MCL sprain and will be out 3-6 weeks, per Adam Schefter. Montgomery aggravated his rib injury from earlier this season. While Jones deals with his multi-week injury, Montgomery has a chance to play this week according to coach Mike McCarthy. Montgomery is still undergoing tests and should be considered questionable for the time being. Danny Woodhead has been on injured reserve since Week 1 with a hamstring injury. Woodhead is eligible to be activated off IR, but coach John Harbaugh was non-committal on his Week 11 status. Woodhead will reportedly take part in practice early in the week. Practice will serve as a test run for his game availability. He is truly questionable for Week 11. David Johnson finally had his cast removed on Monday from his Week 1 wrist injury. An important day for Johnson, he can finally begin his rehabilitation process. As he progresses, we should get a firm timetable for his return. Earlier this season, coach Bruce Arians said we could potentially see Johnson in December. He appears on track for a return sometime this season. Rob Kelley suffered both a high ankle sprain and an MCL sprain in Sunday's game. Kelley was subsequently placed on injured reserve on Tuesday ending his season. His role with the Redskins going forward is uncertain. Will Fuller suffered cracked ribs in Sunday's loss to the Rams. Ian Rapoport reported that the damage is not believed to be extensive, but Fuller will still likely miss at least a week. Ribs often come down to pain tolerance, but the extent of Fuller's injury is not yet known. For now, Fuller needs to be considered week-to-week until he can return to the practice field. Philip Rivers entered concussion protocol on Monday, despite no in-game evaluation. Rivers only took one hit during Sunday's game, so it is not clear when he sustained the injury. Now, he must make it through each stage of concussion protocol. He should be considered questionable for this week's game. Curtis Samuel suffered an ankle sprain in Monday's win against the Dolphins. Samuel had an MRI on Tuesday and it confirmed ligament damage in addition to his sprain. Samuel will have surgery and be placed on injured reserve, ending his season.